Pam is a Colorado native who has worked as a newspaper reporter in Eagle County for more than three decades. She was born and raised in Longmont and graduated from the University of Colorado with a bachelor’s degree in journalism in 1984. She began work at the Eagle Valley Enterprise in November of that year and today she is the editor of the 120-year-old publication. She is also a reporter for the Vail Daily, covering diverse issues in the downvalley communities of Eagle and Gypsum. She has won numerous awards from the Colorado Press Association for reporting, column writing and photography during her newspaper career. 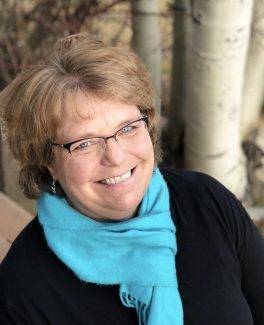 She is a former member of the Eagle Town Board, the Eagle Marketing and Events Committee, the Eagle County Library District Board of Trustees and the Greater Eagle Fire Department. She has two grown children — Emily and Eric —who were born and raised in Eagle. She and her husband of 30 years, John Boyd, now reside in Gypsum with their cocker spaniel Yogi. When she isn’t working, Pam is an avid reader and she enjoys walking Yogi, something the dog enjoys as well. She also spends a lot of time dragging her husband to various community events, where he is often called into service to hold her camera bag. He is an amazingly good sport about it.